Aluminium level with 2 vials, one each on horizontal and vertical. 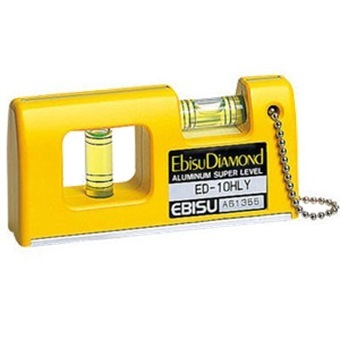 ED-10HLY: Yellow plastic case. Aluminium level with 2 vials, one each on horizontal and vertical.